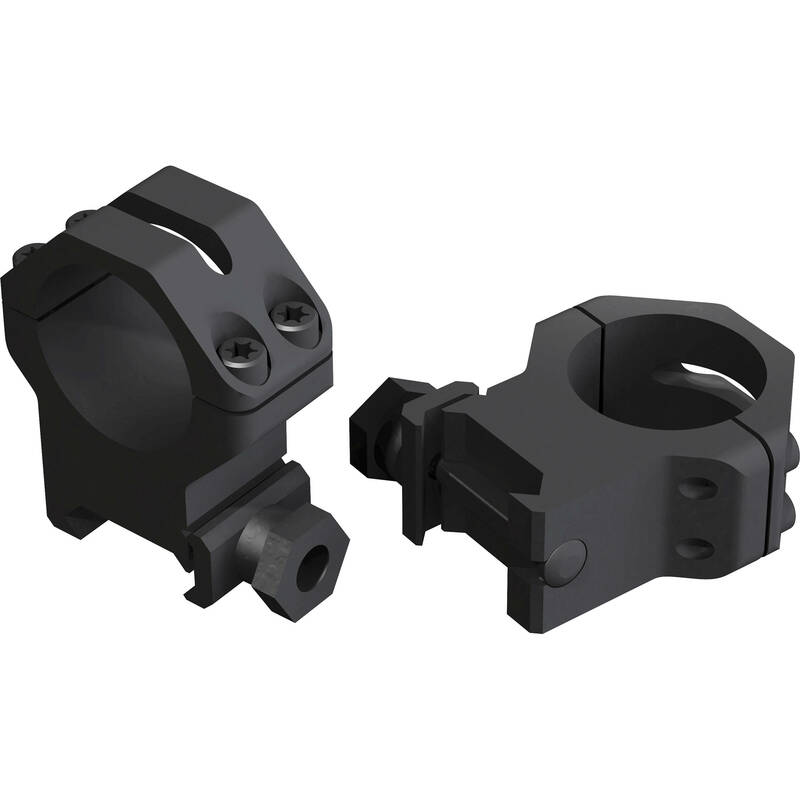 These matte black 4-hole Skeleton 30mm Riflescope Rings from Weaver feature no-strip/slip Torx mounting screws. The rings accommodate scopes with a 30mm main tube and provide a saddle height of 0.370". Box Dimensions (LxWxH) 4.8 x 4.6 x 1.0"